Mr. President is the beginning seeds of this incredible team. A journey that will take your breath away and a love story that will become one of the most memorable you will ever find. Matt and Charlotte’s story begins with Mr. President. When our heroine Charlotte was only eleven years old, her parents had a dinner with the President and his wife and their son Matt who was a teenager by then. And Charlotte and Matt were charmed with each other. And in a letter Charlotte sent him, offered to work his campaign when he ran for the office. Now present day, much has changed. Matt is 34 years old, his father assassinated and after years of internal debate does what he does best….he does what is the right thing even if the road is not easy. Matt knows he will make the best President ever, and makes a vow to himself not to marry or have a family in the office. He won’t sacrifice his family like his own father had to do. But he remembers a young girl, who charmed him once upon a time and he never forgot her. He invites her to work with him on his campaign. Many believed he was being ridiculous to offer a job to someone who had no experience and worked as a volunteer with her mother. But Charlotte wants to do what she can, she knows that Matt will make the best president. He has everything going for him. As Charlotte and Matt start to work with each other, the sparks are fiery hot, but they have to keep their relationship a secret. Charlotte knows if Matt wins the election, she will lose him. But she also knows that he is the best man for the job. Hardworking, charismatic, loyal, kind, caring, and devoted to service and willing to make any sacrifice to better the lives of American’s. This woman not only makes me want to be a great man, she makes me want to be the best goddamn president that ever lived. She’s what I never knew I wanted and have discovered that I need. This story really packed a punch, not only is it a great romance but it also conveys all the good that America stands for. Both characters are simply wonderful, and watching them fall in love and having to make some difficult choices for the greater good is simply unforgettable. Matt…looks at me. Just looks at me. So intently and like he can see everything that I am, have ever been, and ever will be. Our Story of Matthew and Charlotte continues in Commander in Chief. Matthew has won the election and has been officially signed into office. He has many plans in place and many drastic changes, but his first priority is the woman he loved and had to let go. But after two months of not seeing her, not being around her he starts to realize a few things. One that he needs her and refuses to let her out of his life. That he will NOT become like his father and that he will be able to balance out being President and being the man she needs. And thus begins their story once again. Charlotte has just come back from a trip in Europe, but even though its been two months she doesn’t know if she can go on without him. 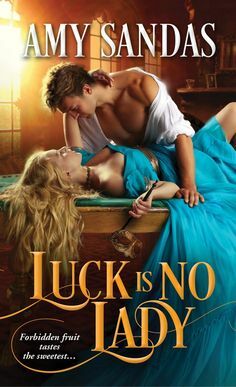 Matt became her rock, and now she has to give him up until he comes to her all powerful and male—-seeking her willingness to take a chance on him. Matt and Charlotte have a road ahead that isn’t easy. But we see how they learn and grow together, how well matched they are especially in their desires for creating a better life for the American people that they now serve. What a wonderful story Commander in Chief turned out to be. I was glad that I bought these two books together. As this was my first exploration into Katy Evan’s work, I was highly impressed and I can tell you I can’t wait to pick up her others books because WOW!!! She blew me away with this couple and their wonderful journey. What great emotion she shows here and what a romance. I honestly couldn’t put these two books down. Seriously I bought them last night. Read the first book all night and the second all this morning. That is how much I loved it, easily read in one sitting and not ones you want to put down for one minute. What was most impressive is seeing these two characters fit the story so perfectly well. I loved seeing them go from seeing them sacrifice and find their way back to each other and still doing what is right for America. Finding their happily ever after, a truly spectacular romance that is guaranteed to make you fall in love like it was the first time. A raw emotionally charged romance that will tug at your heartstrings in the most sensational way imaginable!! A TRUE JEWEL! !